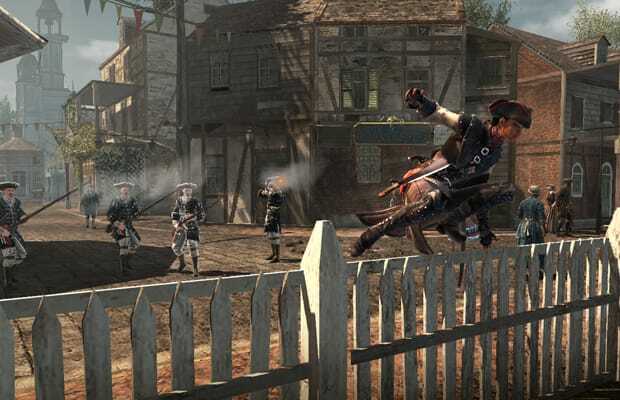 Toward the end of the demo, Aveline made a daring escape on a "borrowed" horse and carriage after successfully taking out her target. This threw the game into a sort of mini-game using the PS Vita's front touch screen. Tapping the screen whipped the horses, increasing their speed, and holding a finger down reigned in, slowing the carriage down. Other touch functions will include the ability to swipe the back of the system to pickpockets bystanders, something I'll try out before passing judgment, and there are sure to be plenty more functions as well. Obviously, none of these are possible in the console version of Assassin's Creed 3.